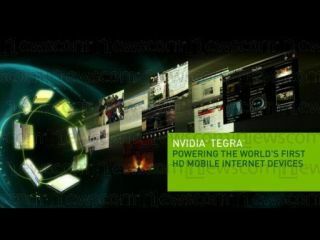 Will Nvidia's Tegra power the next-gen DS? Rumours and speculation that an Nvidia is readying an Nvidia Tegra-powered hi-def handheld gaming console are spreading across the internet. But are these 'next gen DS' rumours based on any substantive information from sources in the know? The latest reports emerge from BSN news, that claims: "Incredibly how it may sound [sic], from what we are hearing nVidia is dead on achieving its course. With a very aggressive approach, the company managed to sway not just Microsoft with the Zune HD multimedia player [based on Tegra APX 2600] or Samsung's BeatPlayer M1 [also known as YP-M1], but also a long-time IBM and ATI customer - Nintendo." Nintendo owns 68.3 per cent of worldwide market share of the handheld gaming market with DS, DS Lite and DSi. If the new turns out to be true, then this is an immense contract for Nvidia to have won. "According to our confidential sources," that report continues, "Nintendo is going to use Tegra System-on-Chip processor for the successor of DS/DSi handheld console. Unlike the current design, nVidia offered a single-chip proposal to Nintendo, a company famous for keeping the hardware platform absolutely simple." BSN goes on to speculate that a new next-gen DS handheld could well be fully backwards compatible with current DS and DSi games "given the fact that Nintendo DS hardware is based upon 16-bit and 32-bit ARM cores." What we really need to know is whether or not such a contract has been signed. And, if so, whether or not it then looks likely that Nintendo will bring out a handheld console in 2010 with considerably more processing grunt and graphical power than any commercially released handheld gaming console to date. TechRadar has contacted Nintendo, Nvidia and ARM for comment.